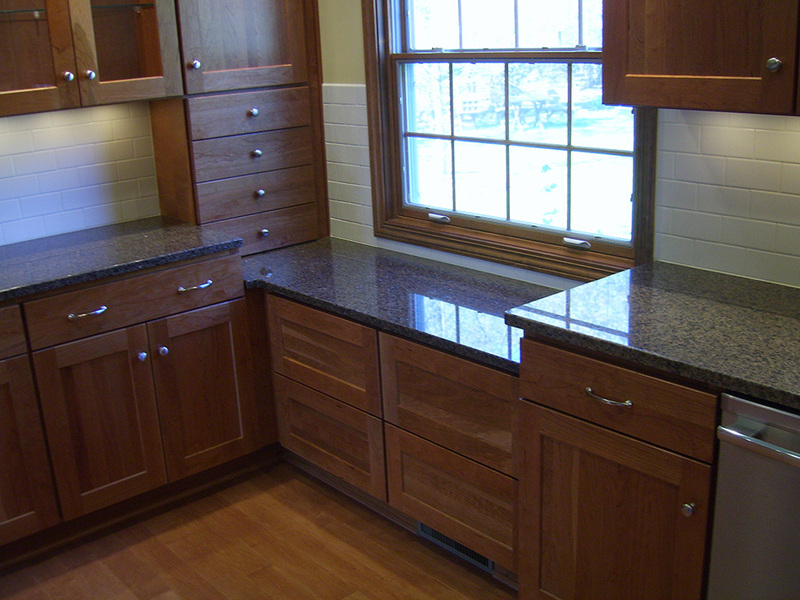 Shaker Style Kitchen Remodel — R.C. Carpentry, Inc. 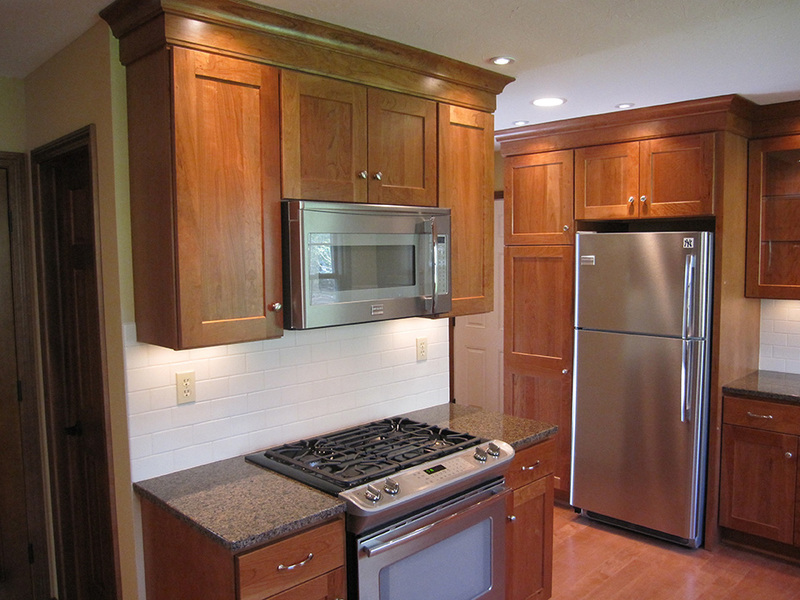 This Concord, Ohio kitchen remodel shows the result of how a typical colonial style layout can dramatically change when walls are removed. It enabled the kitchen to extend a bit further into the family room. This along with continuous hardwood flooring helped to create an extremely open look. New cherry, shaker style cabinets along with granite counters and a subway style tile backsplash completed this major remodel.